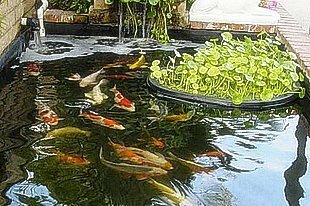 hakucho: Look, see what I finished this week! Hallelujah, I finally finished the prayer shawl that I started quite some time ago...seems like eons now. This one is made the long way with the yarn that was donated by Coats and Clark to our church. 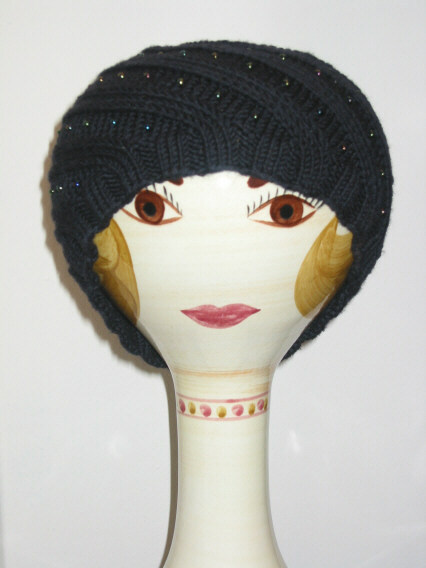 I love how this turned out and I didn't have to install any fringe when I was finished knitting. This was a great take-along project. I would knit on it while waiting for doctor's appointments ( my 90 year old Dad has many!) 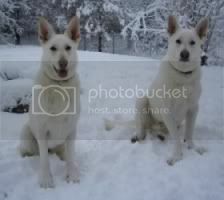 and during basketball games as well as waiting while my boys had their private music lessons. I think it will be a good one for either a man or a woman. My husband picked up on that right away. He usually doesn't have too much to say about my knitting, but I do think he likes this one. 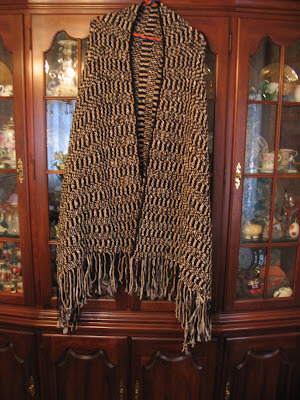 The beige and black yarn is probably Red Heart acrylic and what makes the shawl special is the addition of Red Heart Casual Cot'n Blend Yarn. All of the yarn had no labels and looked like mill ends. I knit 3 rows of each color, alternating the colors in a pattern. Needing a break, I decided to give the Four Corners dishcloth a try. I made two. 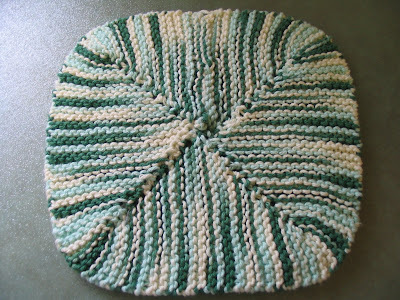 This is a different sort of dishcloth pattern that I found though my Monthly Dishcloth Yahoo group. 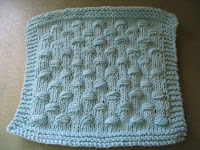 It is based on Elizabeth Zimmerman's square baby blanket pattern. First time for me doing the invisible cast on method and garter stitch grafting. (Good directions for this and the invisible cast on is in the back of EZ's Knitting Almanac.) The pattern consists mostly of short row knitting. It's a fun pattern to try and you get the added bounus of learning a couple of new techniques. You can find the pattern on 1870 Pearl's website. The link for the pattern is in the right hand side column. 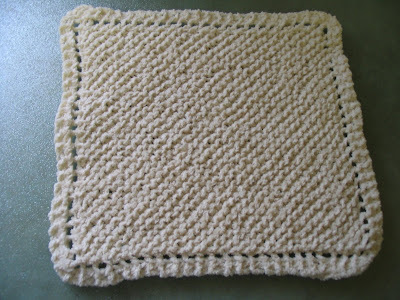 Recently after trying out my cotton chenille washcloth that I made...I knew I had to get busy and make more. Remember the cotton chenille I bought at the mill a while back? 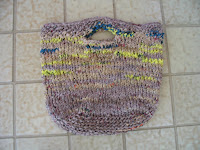 And the cloth I made from the Mason-Dixon Knitting book? Well, I absolutely love that cloth. It makes the all time best, softest washcloth. Not very pretty color wise, but it it's just great. This type of yarn does not lend itself well to most dish/wash cloth patterns, so I thought I would try it with grandmother's favorite. I used size 7 needles and kept knitting until I had 50 stitches. I'm going to make a bunch of these. 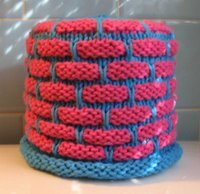 I'm not so crazy about the mason dixon one - construction wise, mainly because it doesn't lay flat or fold well, so I'm searching for another pattern. For now the old stand by will do. that prayer shawl is gorgeous! i'm sure someone will really appreciate it, too! That shawl is really nice! I love that it could be for a man as well as a woman. 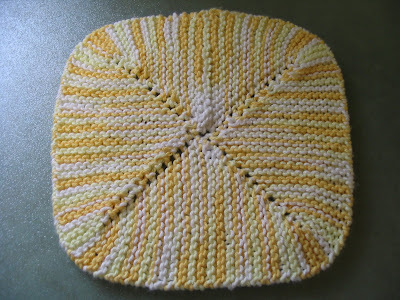 There's a really cute pattern for a flower-shaped washcloth made from chenille in the book "Weekend Knitting," there's a very similar free one somewhere on the internet but I lost my links lately so I can't tell you exactly where. The flower cloth in the Weekend Knitting book looks great in the cotton chenille yarn. Maybe you could check it out of the library if you don't own it. I love that prayer shawl; it's beautiful! The dishcloths are really cute too! 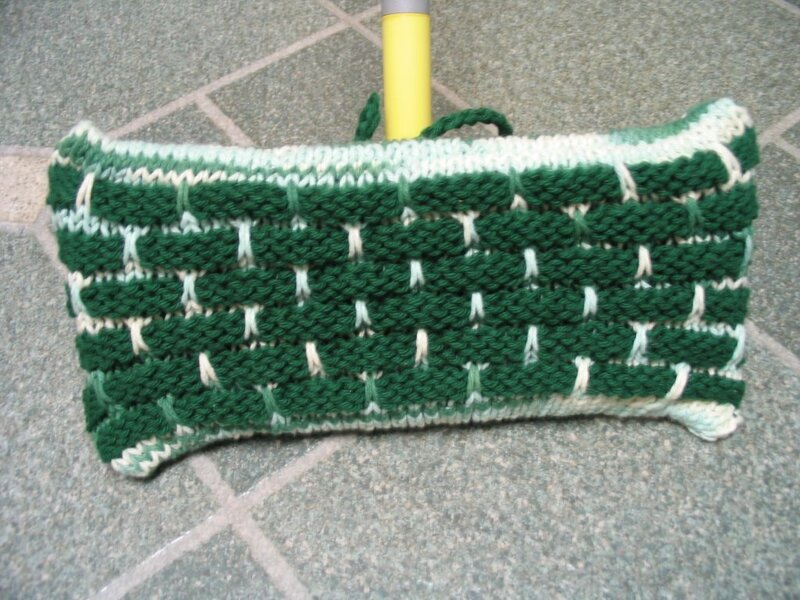 Great dishcloths. I'm glad you liked the pattern. The shawl is beautiful, and I really like the dish cloths. Great job! The shawl looks wonderful, great job. Love all the cloths. the prayer shawl is beautiful!! :) the dishcloths are pretty cool too! that is amazing that your dad is 90 years old. I hope my parents last that long! ps. Thanks for all your kind words re my grandmother, I really appreciate it!! It's an absolutely gorgeous prayer shawl. I'm sure the recipient will be thrilled to get it. Cool dishclothes too!